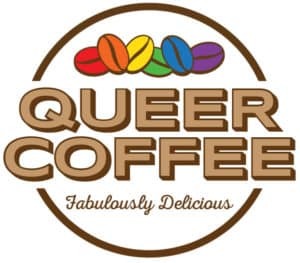 What does Queer Coffee sell? We sell high-quality, whole-bean, 12 oz bags of coffee. We also value organic, fair trade, cooperative principles and strive to live up to them in our sourcing of everything from the beans to the bags. Which LGBTQ+ causes does Queer Coffee support? We donate $2 of every bag sold to LGBTQ+ causes. Our first nonprofit beneficiary is the Campaign for Southern Equality. It used to be, yes. And it still can be too. But many LGBTQ+ people are using the term to describe all of us, without derision. 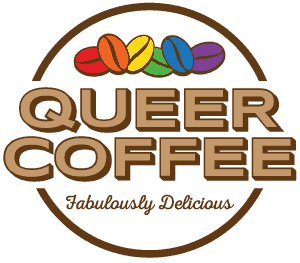 Queer Coffee embraces all of us in the LGBTQQIAAP community: lesbian, gay, bisexual, transgender, queer, questioning, intersex, asexual, ally, and pansexual. Yes! Queer Coffee is a lesbian-owned, queer-embracing company meant to combine our love of coffee and our desire to give back. Join us and try a bag of coffee! Have questions for us? Contact us!